A selection of works featured in the Indiana State Museum's retrospective Style, Elegance and Wit: The Artwork of James Spencer Russell, plus photos of Russell featured in a book accompanying the exhibition. 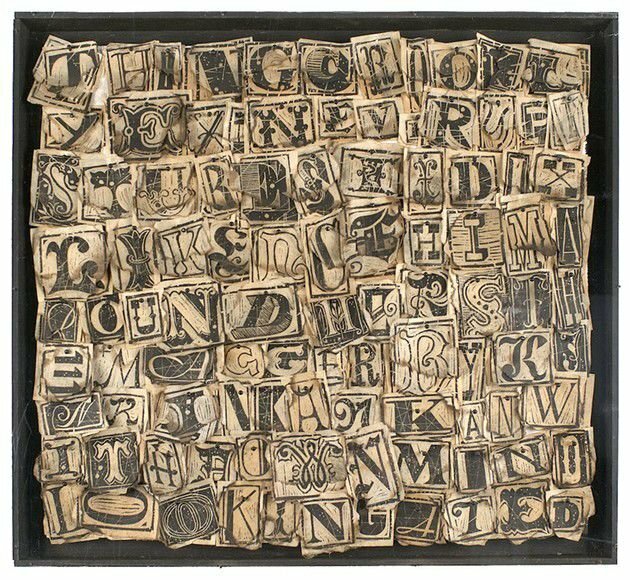 “100 Letter Word”, woodcut collage, 1965. Courtesy of Wade Bussert. 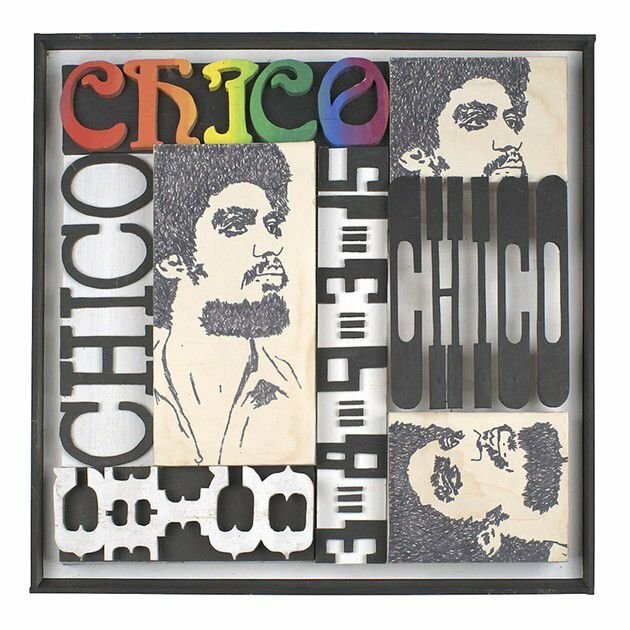 “Chico,” mixed media wood construction, 1977. Courtesy of Kelly and Pamela Leeman. “Floyd”, acrylic on panel, 1977. Courtesy of Kelly and Pamela Leeman. “Hand – Body Parts Series”, mixed media construction and found objects, 1966. Courtesy Kelly and Pamela Leeman. “Jazz Trio” (detail), painted wood construction, approx. 400 feet in length in its entirety, 1977. Courtesy Midland Art & Antiques Market. James Spencer Russell in his NYC studio with a portion of his "Body Parts" series, inspired by Finnegans Wake. Circa 1965. Courtesy of Ron Kern. James Spencer Russell with his father, Carl, and his mother, Arlie. Circa 1950. Courtesy of Ron Kern.